"A Great Start For Young Families"
"The New Custom Built Home Ownership Program"
To Help Save the American Family by Removing the Burden of the 30 year Mortgage and Saving them Millions in Interest. 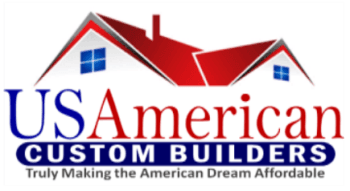 US American Custom Builders is a company of Builders who have come together to make the American Dream (Of Owning Your Own New Home) Affordable. Collectively, our builders have been involved in the building process for over 100 years, specializing in every aspect of the home with a passion for quality and experience in both Residential and Commercial building. We at US American Custom Builders, have a new and innovative way of helping customers accomplish this dream. As you will see on the following pages, what we propose is unbelievable, but very doable. This is a win-win program for the new homeowner, the community and the builder. We thank God daily for this program because it provides equality for each American family. Our goals are to save American people millions in interest and help families, married or single, to support their children through college without the concerns of a 30 year mortgage. People who are 45-50 years of age can own their new home free and clear before retirement. Lastly, we are helping people to stop throwing money away on Rent. This is the US American Custom Builders way. Truly making the American Dream Affordable. US American Custom Builders offers high quality, energy star-rated homes, with no interest regardless of your credit. All USACB homes are Energy Star Rated. 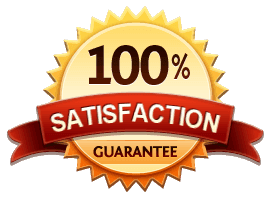 We also have a replacement plan, if you have an old or flooded home you need demolished, we will demolish it and build you a new home under the same program. The USACB Process is truly an opportunity for persons who have made a few mistakes in life to get a 2nd chance at home ownership…without being penalized for those mistakes. We’ve completely eliminated 99% of the traditional obstacles to the new home ownership purchasing process. The USACB New Home Ownership Program is designed to save you hundreds of thousands of dollars in 15-18 years when compared to traditional mortgage programs and policies. The USACB New Home Ownership Program is a Christian Owned and Operated entity and employs “Out of the Box” Christian principles, thereby making it a superior business model to new, custom home ownership. Because we’re not profit driven or motivated, we’ve been blessed to develop a program that seriously works to “Help Save the American Family”. As a result, we’ll always do everything in our power to make your dream of new home ownership a reality…in ½ the time for ½ the cost. We give back to every community of which we’re a part via our “Community Shares” program. We have over 100 collective years of custom, home building experience. We also have a program that will allow veterans to own their new home in 14–18 years. The US American Custom Builders Way"